When you’re as passionate about building brands as we are, and you get an opportunity like this one, it gives you what we call here at Plaid, “the marketing chills.” For one, the idea behind this product was to create a healthier alternative to edibles. Fruit-based, clean ingredients and infused with premium cannabis. Delicious and no sugar added. YES! All great brands start with great names so the challenge was on to come up with something truly representative of everything we set out to capture. Several brainstorm sessions, many a trademark search, and a few legal consultations later, SolDaze Snacks was born. Next up was the fun part! 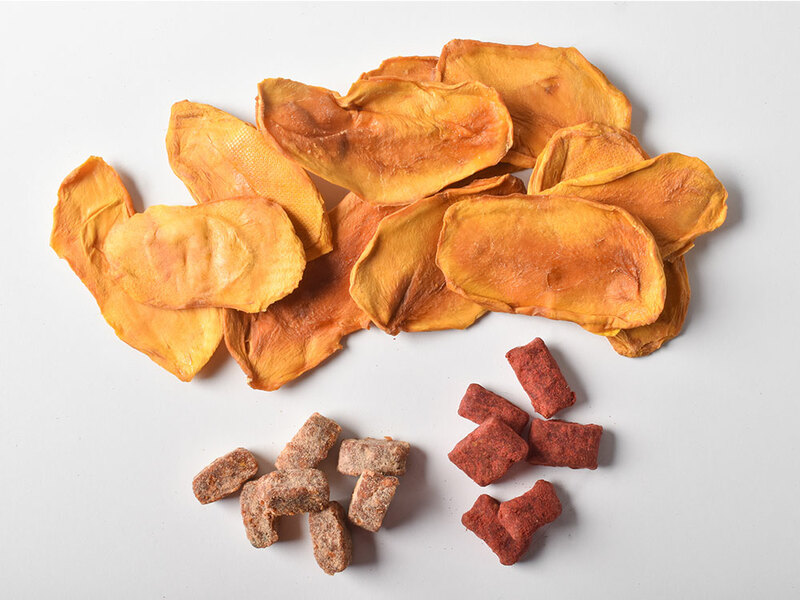 We were ready to develop a brand that brings a bright and fresh approach to a category inundated with sugary confections was the goal. Because all of the products use responsibly sourced mango from Mexico, a natural, tropical vibe was the way to go. Concurrent to the design process, we developed messaging, the social story and other points of difference to round out a tight product presentation. Finding a CR package, getting all the compliant language straightened out and rushing to get artwork to the printer before the July 1 deadline was a bit painful. There were holdups and some zipper issues but when we held that soft touch matte pouch in our hands—yep, marketing chills. While R&D and testing was still in progress, we went full steam ahead with everything needed to launch a brand: business cards, investor deck, landing page, sell sheet, giveaway stickers, fun SWAG, a pop-up demo booth, consumer handout, photography, an Instagram account…. The whole bit. 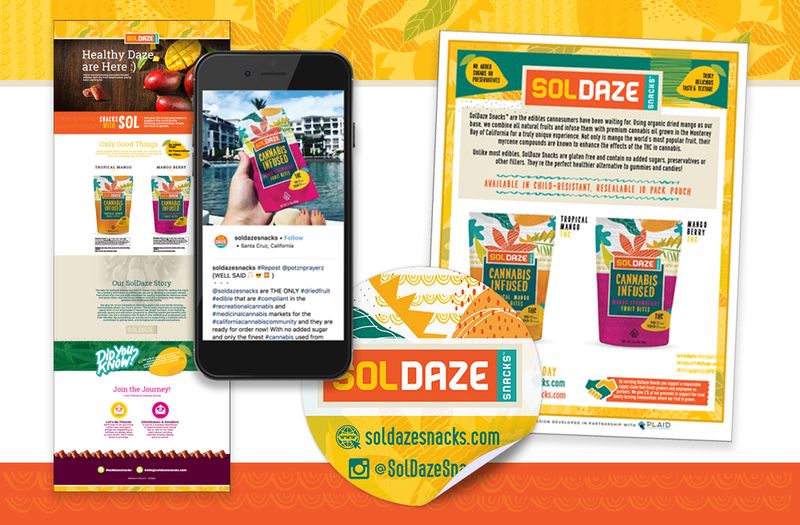 And trust us, when the SolDaze team walked into distributors with a printed package and a tight sales presentation—they were one captive audience. 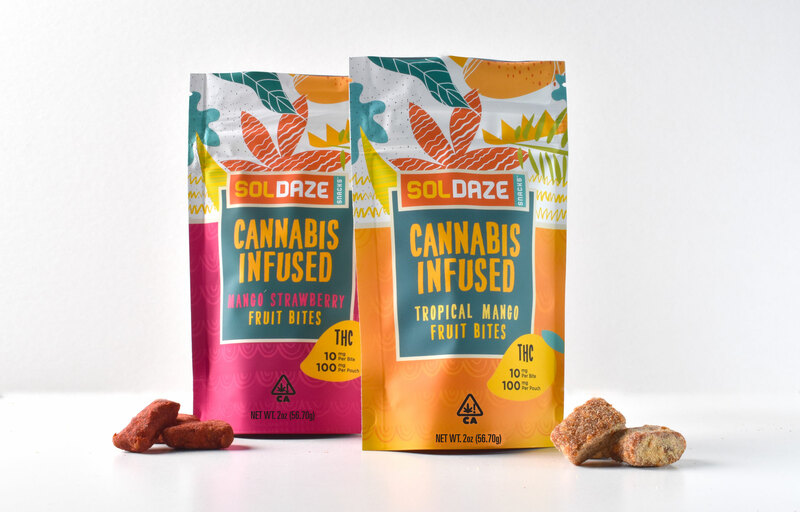 Pre sales racked up quickly and you’ll soon see SolDaze Snacks at licensed dispensaries across California. Pick some up if you do!